Growing up in the world today is tough thanks to the society we live in. As parents, we want to do everything to help our children to succeed. One of the most important items we need to assist our children with is their self-esteem. Simply telling your child that you love them, and teaching them academics is not enough. It is more important than ever to help children to believe in who they are and what they can be. Once your child enters school, the safe cocoon that you have given them is forever exposed to the realities of life. Other children will often tell them they can not do things, or that they are doing something wrong. If a child hears this too often they will quickly believe it to be the truth. I learned this last year when my son went off to preschool, and even more so this year with kindergarten. Prior to kindergarten NHL rarely uttered the words "I can’t" and then they became a daily occurance. I recently received a new product called Manifest Your Magnificence that was created by Susan T Howson. 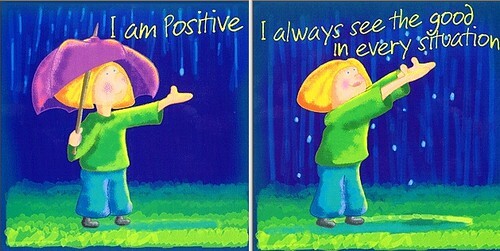 I selected the set of 64 affirmation cards that you can use to help strengthen your child’s self-esteem. 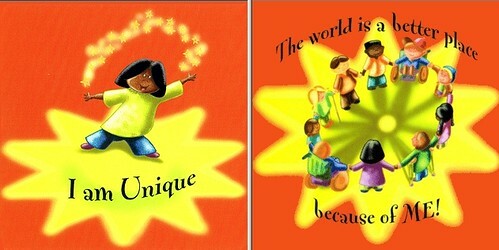 Each of the cards has an "I am" statement on the front coupled with a gorgeous kid friendly illustration. 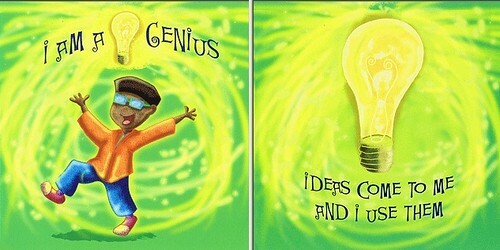 On the back of the card is an example of what the statement may mean to an individual. The cards are meant for children that are 6-12 years old. I used them with my five year old son. He loved looking through the cheerful cards to see what they had to say. We would sit down and read them together. Some days we would go back and forth thinking of items that related to the affirmation in front of us. Other days it was a perfect chance to let him practice writing. He would simply write a few words and draw a picture to make his own creation to go along with that card. NHL wants to make his own "book" with the writings that he made using the cards as inspiration. He knows that he can be an author and is not using "can’t" as often these days. The possibilities with the Manifest Your Magnificence cards are truly endless. Howson suggests using them to write, talk, draw, sing, act, dance, or to carry around to remind them of who they really are. As an educator, I know that I could have used these in many ways within my classroom. I would have loved them as pre-writing prompts for my students to do as they came into my room. I would have had them waiting on their desks to work on while I went around checking in assignments. Not only would the cards get them writing, but it would make them think about who they are and what they can be. With later elementary and early middle school students, finding their identity can be tricky and this would definitely assist them in their journey. Thanks to the sturdy stock that the cards are made on, I know that they would hold up well within an academic setting. The convenient gift box that they come in would store nicely right in or on my desk. The set of 64 affirmation cards may be purchased directly from Magnificent Creations Limitee. The cost of the set is $25.95 + shipping from their company in Canada. Thank you to Susan T Howson and the Family Review Network for this wonderful review opportunity.